Use smart management to get more of what you want and free up assets to invest. These materials have been independently produced by The GenWealth Group, Inc. The GenWealth Group Inc. is independent of, and has no affiliation with, Charles Schwab & Co., Inc. or any of its affiliates ("Schwab"). Schwab is a registered broker-dealer and member SIPC. Schwab has not created, supplied, licensed, endorsed, or otherwise sanctioned these materials nor has Schwab independently verified any of the information in them. The GenWealth Group Inc. provides you with investment advice, while Schwab maintains custody of your assets in a brokerage account and will effect transactions for your account on your instruction. 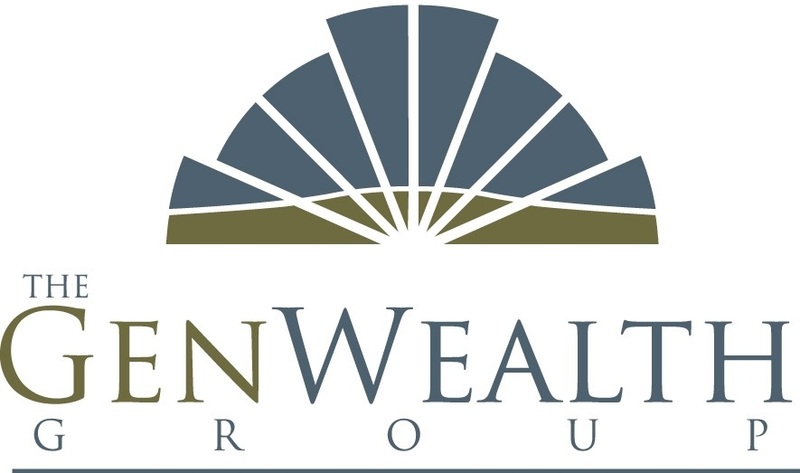 The GenWealth Group Inc. has selected Charles Schwab & Co., as primary custodian for our clients' accounts. This site may contain forward-looking statements relating to the objectives, opportunities, and the future performance of the U.S. market generally. Forward-looking statements may be identified by the use of such words as; “believe,” “expect,” “anticipate,” “should,” “planned,” “estimated,” “potential” and other similar terms. Examples of forward-looking statements include, but are not limited to, estimates with respect to financial condition, results of operations, and success or lack of success of any particular investment strategy. All are subject to various factors, including, but not limited to general and local economic conditions, changing levels of competition within certain industries and markets, changes in interest rates, changes in legislation or regulation, and other economic, competitive, governmental, regulatory and technological factors affecting a portfolio’s operations that could cause actual results to differ materially from projected results. Such statements are forward-looking in nature and involve a number of known and unknown risks, uncertainties and other factors, and accordingly, actual results may differ materially from those reflected or contemplated in such forward-looking statements. Prospective investors are cautioned not to place undue reliance on any forward-looking statements or examples. None of The GenWealth Group or any of its affiliates or principals nor any other individual or entity assumes any obligation to update any forward-looking statements as a result of new information, subsequent events or any other circumstances. All statements made herein speak only as of the date that they were made.